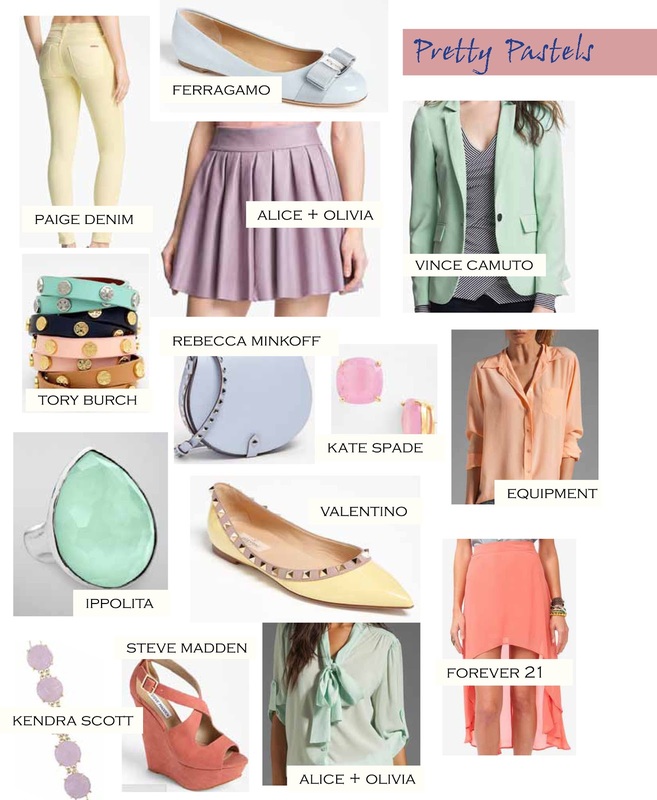 With Spring on the mind, here are a few must-have pastel pieces I came across this weekend. Pastel colors are the easiest way to delicately incorporate color into all of your outfits without getting too crazy as we transition into summer weather. What pastels do you have in your Spring wardrobe?